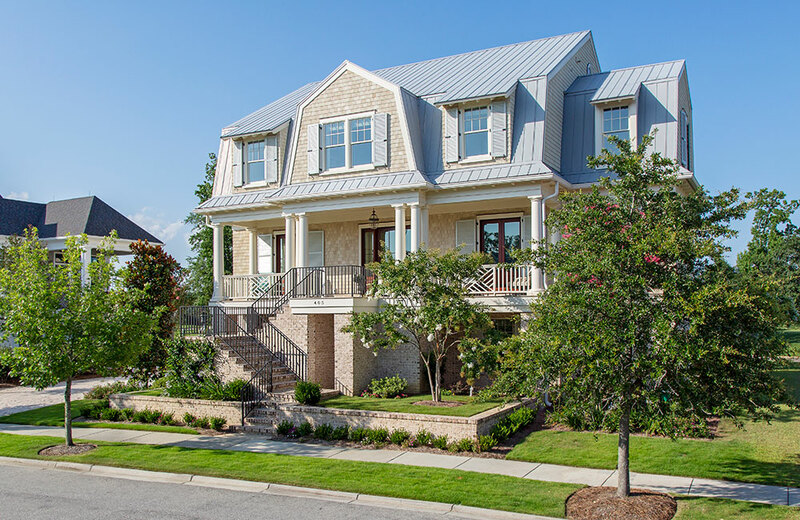 Situated on the golf course of Daniel Island, this shingle style home offers a twist to the southern coastal vernacular featuring a standing seam gambrel roof. 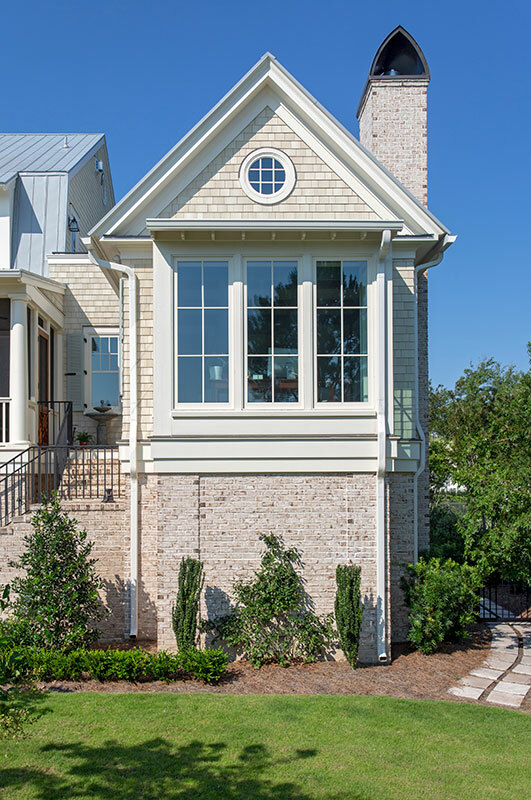 A raised front lawn serves as a connection point from the sidewalk to the front porch, helping bring down the height of the home. 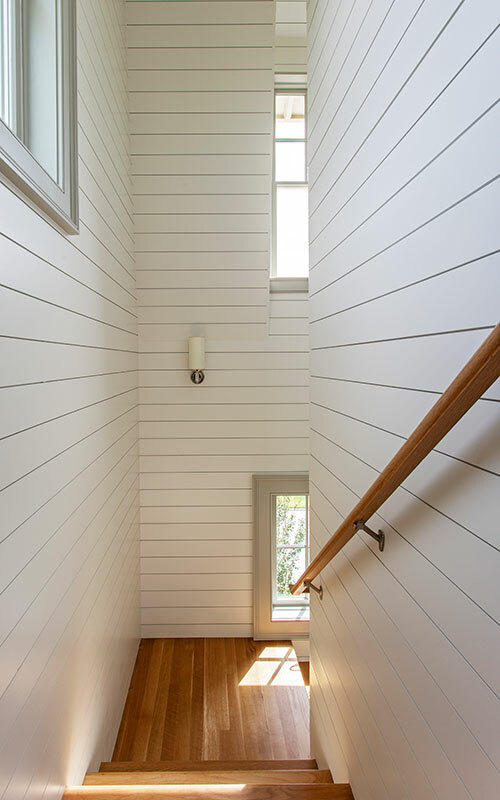 The screened back porch offers views down on to the pool deck and out over the golf course. 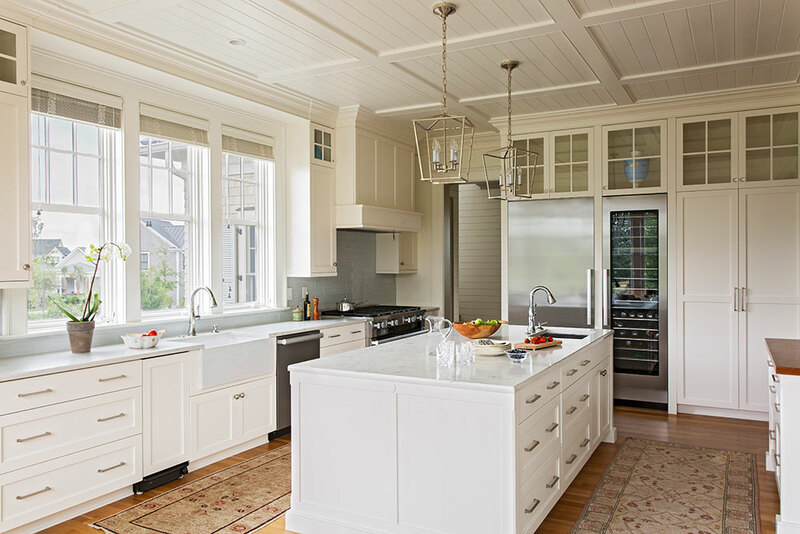 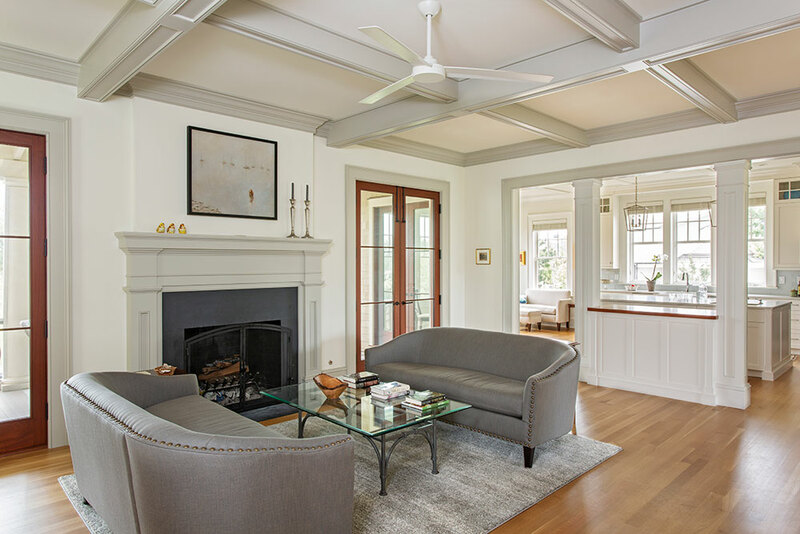 The simple detailing is showcased throughout the home with the abundance of natural light highlighting coffered ceilings and thoughtfully located shiplap walls.